VIX and More: Headwinds Again? I was traveling today and missed all of the market action. It certainly looks like it was an interesting day, as the headwinds index showed a turn back toward the old long energy and short financials trade. True the energy sector did not rise today (all nine of the AMEX sector SPDRs were down), but it did show some signs of stabilizing. When I need to get caught up on the best of blogland, the first place I visit is Abnormal Returns, which has a knack for consistently cherry picking the best of what is out there. 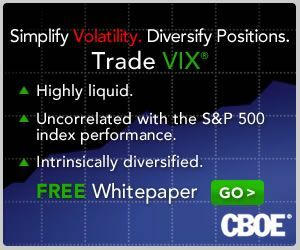 For those who need a VIX fix, look no further than Adam of Daily Options Report in That Old VIX Magic, and long-time favorite Michael Stokes of MarketSci.com, whose The VIX Isn’t Magical is a can’t miss article today. I should be back at it tomorrow, same time, same channel, probably long natural gas and short the banks, maybe even nibbling on a few more VIX calls. I didn't get the "Kurt Osis" joke in the comments I left on my other post. To Mr. Osis, well done sir on the username. 1) Most modern research on volatility modeling does indeed use past volatility and recent movement in the underlying to predict future volatility, but the connection is a bit more complex. Look up 'GARCH models' for more information. 2) The linear regressions are a good start, but based on a glance at the chart, there's clearly a bias due to heteroskedacity (i.e. the size of the error in the regression is correlated to the level of volatility).